You might notice that it doesn't look all that different from today's newspaper. 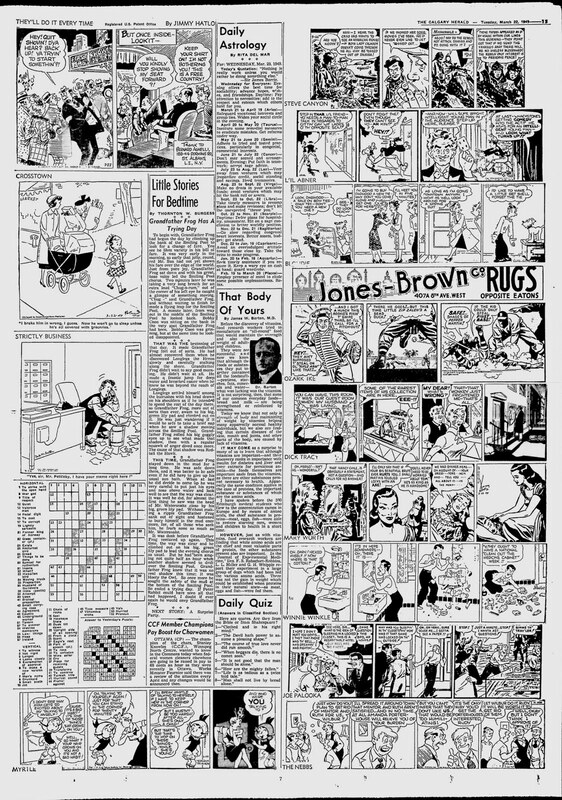 Cramped page, crossword, horoscope... Heck, even Mary Worth and Dagwood are still around! The printing quality has improved a bit, but the jokes haven't. I really try to sympathize with companies that aren't able to keep up with the times. 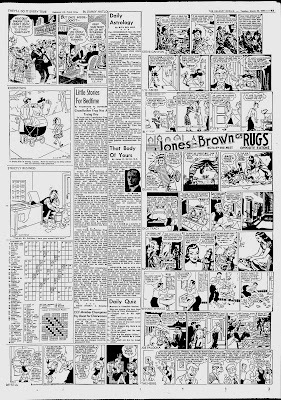 After all, there are people who put these newspapers together, not to mention the various comic artists whose work you see every day. But if you haven't appreciably changed anything about your product in half a century, it's really hard for me to justify why you're still even around.